Dubai world expo 2020 will be the first large-scale international event to take place in the Middle East. The UAE should be proud of it. Dubai authorities have already pledged to organise it in a manner befitting of an international-level event. The six-month-long exhibition will revolve around trade and innovation from all corners of the world. This event will transform the UAE, especially Dubai, into a huge showcase containing the best examples of global products. A new report commissioned by the Federal Authority of Human Resources said five key industries would greatly benefit from the event. They are hospitality, retail, transportation, banking and finance. 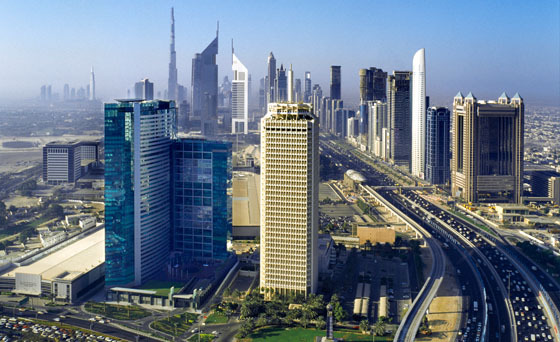 Dubai’s real estate sector will also receive equal attention. Similarly, positive growth patterns are expected for entrepreneurial businesses. The list of advantages associated with Expo 2020 do not end here. There are other benefits that hosting the mega-event will bring to Dubai’s doorstep. A recent report published by Standard Chartered said Expo 2020 will create around 300,000 direct jobs and at least a million indirect jobs throughout the UAE. Most of the jobs, approximately 90 per cent, will be created in the travel and tourism sector between 2018 and 2021. The same report also stated that specialised knowledge in the services industry, architecture, infrastructure development and engineering will be highly priced by employers in Dubai to ensure that preparations for Expo 2020 go according to plan. The Expo is the third-largest global event that acts as a powerful economic and cultural catalyst for the host country. According to official statistics, between 25 million to 30 million visitors are expected to arrive in Dubai. The numbers are expected to swell during October 2020 and April 2021. Out of the total visitors expected to head to Expo 2020, around 17 million will be international tourists who will visit the emirate. Such large numbers of tourists will help Dubai’s hospitality and tourism industries to generate revenue to strengthen the economy. According to UAE real estate portal Bayut.com’s recent market report, 2017 is likely to be the year when preparations for Expo 2020 gain full momentum and when the engines of job growth, infrastructure development and economic prosperity are set to rev up at full speed. Dubai’s real estate sector is also expected to see the return of heightened business activity in anticipation of Expo 2020. Developers have already initiated or completed most work on Expo 2020-specific developments. Some high-profile real estate initiatives being undertaken in anticipation of Expo 2020 include: the Dubai Water Canal, Museum of the Future, Deira Islands, Dubai theme parks, Jewel of the Creek and other projects. All are expected to delight locals and international tourists. As Expo 2020 nears, Dubai can do well to grasp all the benefits that the mega-event will offer. It will also support the government’s plans to improve the emirate’s tourism, hospitality and its prolific real estate industry.